Last week-end, from Friday to Sunday; the world’s best skaters competed in Prague for a $30.000 prize pot in streetstyle, bowl and best trick contests. Ladies competed in streetstyle for a $2,500 prize purse. The contest was sanctioned by World Cup Skateboarding who provided judges and compiled the contest results which are included in the World Cup Skateboarding rankings. New street obstacles were built this year according to the latest trends inspired by performances that push the limits of skateboarding. Their design and construction were traditionally managed by Radek Teichmann from Mystic Constructions in collaboration with skateboarding icons such as Dave Duncan and Brian Patch. Originally planned on Sunday, it was decided to move Bowl finale on Saturday evening. The main reason was the large number of riders and time-consuming to allow sufficient time for the final of the Street, which remained on Sunday. In the bowl section, it seems that Dogtown's Charlie Blair has been sent on a mission from Venice. 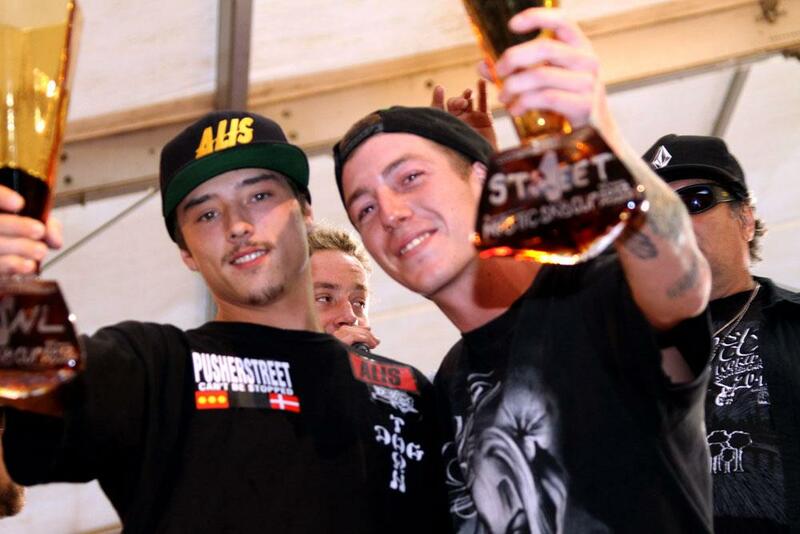 At the Sosh Freestyle Festival in Marseille Charlie Blair took the much deserved win, edging out Marseille local ripper Julien Benoliel (who fall during his last run) and fellow American Nolan Monroe to take home 3000 EUR. Then, he also won the NASS when he beat Sam Pulley and Joshua Young. 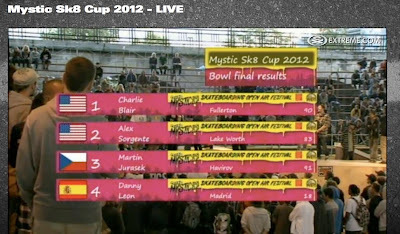 This time, at the Mystic World Cup, it is his third win in a row. This time he beat Alex Sorgente and Martin Jurasek. 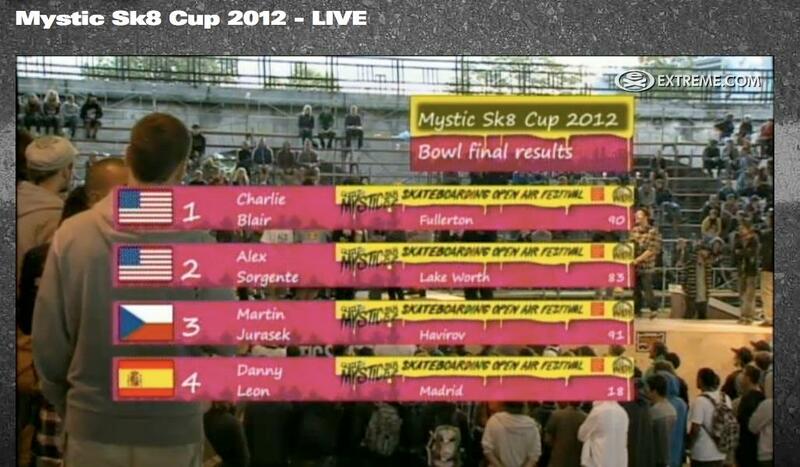 Julien Benoliel landed 8th… Charlie Blair had a lot of awesome tricks especially the blunt to kickflip! Vassiviere Skate Park or UFO?